Michael K. Walker graduated from Middle Tennessee State University majoring in both Psychology and Criminal Justice Administration. Mr. Walker then attended Nashville School of Law where he obtained his Doctorate of Jurisprudence. Mr. Walker has always resided in the Middle Tennessee area and has been working cases since 2005. Mr. Walker is about protecting the rights of those accused of criminal activity, facilitating an amicable divorce between spouses, and assisting those who have been injured in recovering everything they are entitled to. Mr. Walker regularly attends legal seminars to stay updated and to improve his ability to effectively represent his clients. 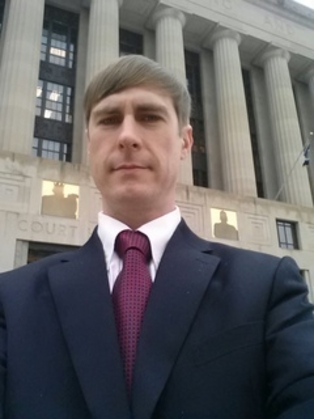 Mr. Walker is a member of the Nashville Bar and the Tennessee Association of Criminal Defense Lawyers. A. Michael K. Walker, works to make the divorce process easier with his efforts and experience in reaching an agreement between both parties and lessening the burden during this stressful and troubled time in their lives. A divorce does not have to be cruel and full of revenge. If both parties can not get along well enough to stay married and have attempted to work through their problems through counseling, mediation, and other avenues and are unable to work out their differences then divorce may be the only option. Q. What advice do you have for a customer looking to hire a Nashville Divorce Lawyer, Nashville Divorce Attorney, Middle Tennessee Divorce Lawyer like you? A. Watch out for hidden fees not discussed and non-lawyers that only prepare divorce paperwork and do not appear in court. Michael K. Walker, Esq. is licensed to practice law in Tennessee and offers an affordable flat fee divorce for those in agreement to those wanting out of a marriage that is just not working out. Mr. Walker works with the client to provide time for the necessary payments. Mr. Walker will prepare and file all of the necessary paperwork and see the divorce through from filing the complaint to the final hearing. A. Will you return my phone calls and emails in a timely manner? Michael K. Walker, Esq. will return all calls and emails the same business day. Mr. Walker knows it is of great importance to the client and an ethical obligation to the legal profession to reply in a timely manner to client's inquiries. Q. Why does your work stand out from Nashville Divorce Lawyers who do what you do? A. Michael K. Walker, Esq. offers very competitive pricing for all services. The services are all flat fee so there are no surprises and disappointments to the client. Secondly, the Walker Law office is conveniently located in downtown Nashville for convenience to the client. Our office hours are from 8:00 a.m. - 4:30 p.m. with extended phone hours making us more accessible to the client. Lastly, The friendly staff at Walker Law exemplifies some of the best customer service in the business. The prompt and polite service is something that will be remembered. A. Michael K. Walker is a fair and honest person who treats clients and non clients with respect. You can trust that your case is being handled in a timely fashion and you are getting the truth in answers about your case. Mr. Walker knows that the client needs someone to rely on during the divorce process and does all he can to give them piece of mind. Mr. Walker is a member of the Nashville Bar and the Tennessee Association of Criminal Defense Lawyers. Mr. Walker is a Nashville Divorce Lawyer, Nashville Divorce Attorney, Nashville Uncontested Divorce Lawyer.